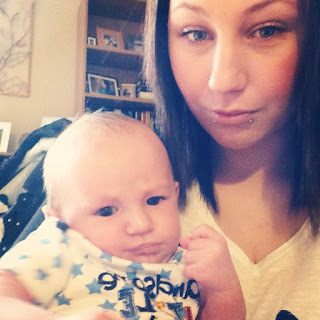 This week's let's talk; post is on The Fear of Becoming a First Time Mum. Doing anything for the first time can be a scary experience and even more so if you suffer from Depression and anxiety. For me I felt like my whole world was caving in yet at the same time I was filled with joy and couldn't wait to have my baby in my arms. It was very confusing feeling like this as I had no clue what to expect. I was so scared that I would get post natal depression, that I wouldn't bond with my child, or that I wouldn't even want him once he was with me. I didn't know at the time that it was perfectly normal to feel this way and was in no shape or form a reflection of me as a mother. A few days before I was due to give birth, I started to search online about these thoughts and feelings I was getting and I was very surprised to see that lot's of women were in the same boat as me. There were women of all ages posting to forums about their fears of becoming a first time mother. For once I didn't feel alone in my thoughts or feel like a horrible person for the thoughts I was having of post natal depression. It really helped me reading all these other women's stories about what they went through during their pregnancy and giving birth, there were so many others who had the fear of rejecting their baby and when the baby was born everything changed for them, they no longer had thoughts like that and couldn't believe that they ever felt that way. Although I was reading all the women's stories I was still scared that I wouldn't change, that I would get post natal depression and that I wouldn't be able to cope with my son. These thoughts kept me up most nights and I was so scared to have my child that I was praying that he wouldn't come yet, that he would be late. I know that sound's silly but I just couldn't handle the thought of not wanting my child once he was here, I already had so much love for him and I hadn't even met him yet so I was scared that once he was born all those feelings would just disappear and I would have nothing but negative thoughts flowing through my mind. On the 11th of January 2014 at 5am my waters broke and I went into a blind panic. I had no idea what to do, what was coming or how I would handle feeling depressed once my little guy was here. I had been praying for him to be late but instead he was coming early. The hours passed and in no time at all I noticed that it was 9am and I still hadn't had any contractions so I went to the hospital and they scheduled me for an induction on the 12th at 12pm, I got sent home and told to rest up. My fears of becoming a mum just got magnified. What if I wasn't good enough? what if I didn't feel love when I saw him? what if the depression kicks in now? what if I don't want my baby? what if I can't change a nappy? what if I can't breastfeed? So many what is's going through my mind I just couldn't stop them. My mind was definitely on over drive. But at 7pm on the 11th I started to get contractions and in no time at all they were less than a minute apart and went on to be continuous contractions which was absolute hell! I wont go into too much detail about my labor right now as I will do a post just for that soon. 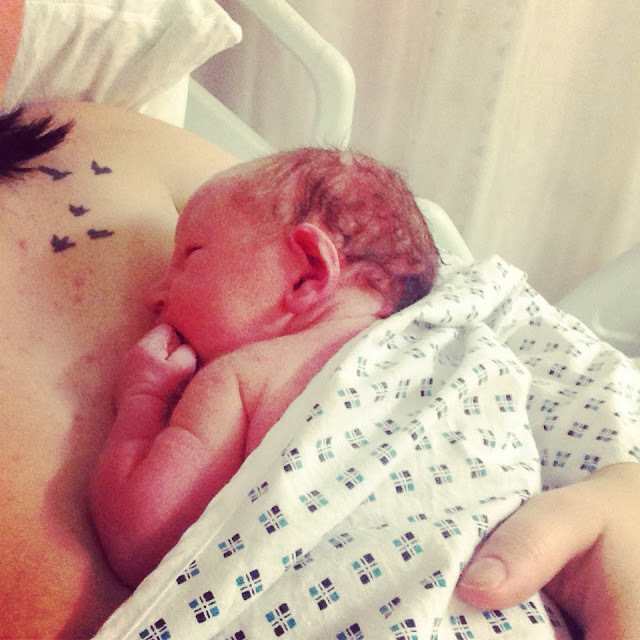 Anyway, Leon was born at 7:25am on the 12th of January 2014. Words can't describe how much love I felt for him as soon as I saw him. All my fears quickly went away and I was so in love with the tiny person I was holding in my arms. I couldn't believe how lucky I was to finally have my son cuddled up to me. 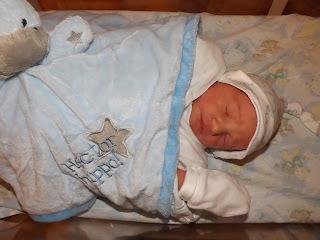 When Leon was a few days old I started to think about all those negative thoughts I had and how silly they were. I was so glad that it was just the fear and it wasn't actually happening. I know now that it is perfectly normal to have those fears and that I wasn't the only mother to be, who felt like that. So if you ever feel like what you are thinking isn't normal, google it. You will find so many mum forums with women just like you who are feeling the same way if not worse. It's perfectly normal to have fears about becoming a first time mum, remember that. But if you ever feel like it's getting worse or it's something to be worried about, go see your GP or your Midwife. It's better to talk about your concerns rather than bottle them up and they might get worse. And congratulations to all those new mums out their, wither it be your first, second, third and so on. You will do great. It's terrifying, isn't it? I was 19 and I developed horrible antenatal anxiety during pregnancy, and I spent so much of the pregnancy convinced that I'd be a failure as a mum. I did end up with PND, but once I came out of that I realised that so many of my fears were unfounded and you just adapt, don't you? Glad you got out of it and everything's ok now. I think a lot of fears are all in the mind and once you experience it, you realise that everything will be fine. It can be very very scary and reading some things can get you more scared, I think it's best to try and ignore the negative and focus on the positive. It's scary being told that, after suffering a miscarriage the midwife told me I was to be kept an eye on just incase, so I was terrified the whole pregnancy. I'm glad you didn't get PND and all was ok. I'm glad I got over it all and I realised that it was perfectly normal to feel these things.